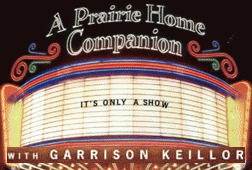 Garrison Keillor claims to be a liberal. He – and we — should know better. Keillor has just joined the already large and ever-growing list of allegedly ‘liberal’ media figures who either advocate or apologize for torture. So if those rough and ready torturer-men shouldn’t be blamed, whom then to hold accountable? That’s simple — the rest of us! 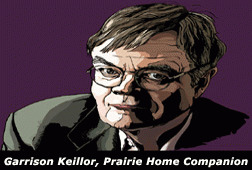 Mistaking retribution for prosecution, Keillor says what is needed “is not punishment, but truth,” since “retribution makes poor politics.” But so too does historical amnesia, ignoring reality, normalizing the unspeakable – and “moving on” before ever determining the truth underlying what it is we’re supposedly moving on from. That’s where the prosecution should stop as well – even if it means we’ll have to wait a little longer for the maglev and decent train service to the Midwest!